For those who are unfamiliar with intuitive energy healing, this is an attempt to make sure we are speaking the same language. 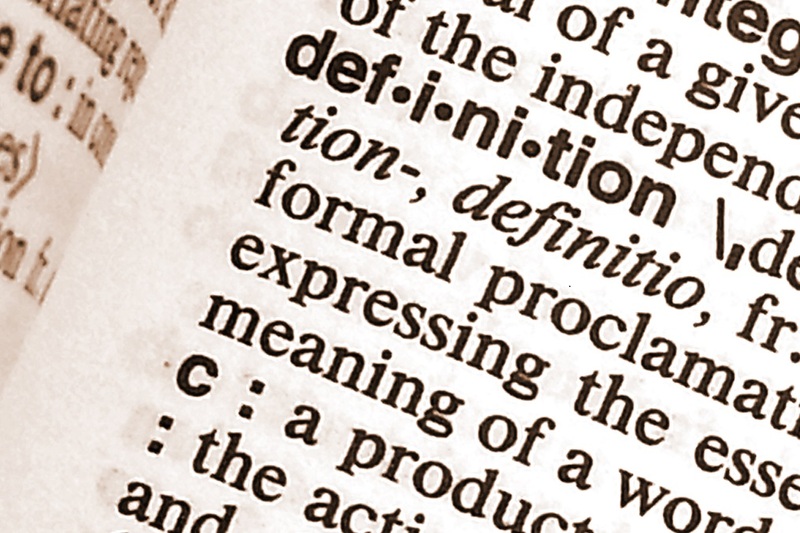 We use a lot of words in this work that may be unfamiliar to some people, and sometimes other practices and schools of thought offer slightly different meanings. This glossary of healing terms will allow visitors and clients to understand my brand of intuitive energy healing. Archetypal Healing – One of the intuitive energy healing techniques I use in my sessions with clients. Each healing is a unique intuitive vision where I watch our healer teams in action and describe what I see to the client. My healing guide, Moses, heals global themes for soul groups, not just the individual in front of me. I call this archetypal because of the nature of these issues. An example of one would be healing the “people pleaser” wound. This is something that affects lots of people and stems from a particular set of circumstances. When we heal this for the client, we are also sending healing to all the souls in the client’s soul group. Aura – A field of subtle, luminous radiation surrounding a person or object like the halo. This field is energy and many people see colors in the aura which associate with the chakras. A being’s emotional and physical health can be “read” in the aura. Practitioners manipulate and clear the aura through hands-on healing, such as reiki. This manipulation is a form of energy healing. Chakras – The word Chakra is Sanskrit for wheel or disk. It signifies one of seven main energy centers in the body which are the openings for life energy to flow into and out of our aura. Each of these centers correlates to major nerve ganglia branching forth from the spinal column. In addition, the Chakras also correlate to levels of consciousness, archetypal elements (Jungian concepts), developmental stages of life, colors, sounds, body functions, and more. The seven main chakras that run up the spine are (from bottom to top) Root, Sacral, Solar Plexus, Heart, Throat, Third Eye and Crown. For more information visit the Chakra page. Dark Night of the Soul – Some may consider it a rite of passage for all spiritual seekers. A period of time where our faith and beliefs are examined, broken down and rebuilt. “You feel totally alone. You don’t know many, if any, people that have gone through this. You don’t feel like being bothered with loved ones and friends that don’t understand because they either think you are crazy and need help or their own fears arise about it and make matters even worse. You barely have any energy or interests anymore.” These passages seem a necessary part of self-reflection and deep introspection. Emotional Trauma Clearing – an energy technique that clears stuck energy from emotionally traumatic events in our past, including past life. Using the 12 meridians of Chinese Medicine, we identify the pair or triad of meridians that hold the wound/behavioral pattern of trauma and clear the energy. This is a very effective system for people experiencing behavioral patterns that are limiting their engagement and fulfillment in life. Empath – an empath is anyone who senses and reacts to the electromagnetic energy waves coming off of people, animals, plants or objects. How you sense and react to the energy is your personal expression of being an empath. Empaths often are able to read several kinds of energy (person, animal, plant, etc) but ultimately there are two primary types of empaths. The first is an emotional empath, those people who interpret the energy of humans, dogs and plant life through their emotions. The second type is the physical empath, they interpret the energy through their physical senses. For example, a physical empath feels the pain of your headache and not the sadness of your heartbreak. Energy or Qi – can be defined as the “force” or “vital substance” that animates and controls the observable functions of living beings. The basic foundation for Asian medicine is that this vital substance flows through the body on channels known as “meridians” that connect all of our major organs. Any kind of pain (physical or emotional) or illness represents an obstruction in the normal flow of Qi or life force. Intuition – A natural ability that makes it possible to know something without any proof or evidence. 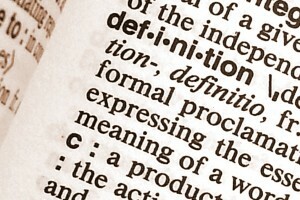 The direct perception of truth, fact, etc., independent of any reasoning process. Karmic Timeline Healing – an energy technique adapted from Neuro-linguistic Programming that can clear away traumas experienced in either this lifetime or an ancestor’s lifetime. Ancestral patterns of trauma are passed down through our DNA and affect us as much as if we experienced the trauma ourselves. KTH heals these wounds for you and can bring a level of healing to all ancestors and relatives affected by the event as well. Lightworker Curse – A dramatic sounding name for a common wound affecting lightworkers. As lightworkers remember what they are here to do, they are overwhelmed and afraid to claim their purpose. In past lives, often more than one, lightworkers have been killed for doing their heart’s work. Salem Witch Trials, Crusades, etc. This curse can be lifted with energy work and allows the lightworker to begin to step more fully into their healing gifts and life purpose. Meridians – The Meridians are directional pathways of the energy flow of Qi through the body, the Qi flows through each different pathway(Meridians) in a peak flow at specific times during the day – in essence, a 24-hour human body clock of qi flow. 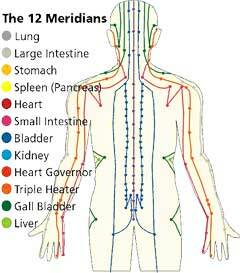 There are 12 Organ Meridians and each is associated with an organ, a time of day and an element. Each meridian has a set of emotions and these emotions have balanced and out of balance expression. The meridians provide the framework for Emotional Trauma Clearing technique. Neuro-linguistic Programming – a practice aimed at enhancing the healing process by changing the conscious and subconscious beliefs of patients about themselves, their illnesses, and the world. These limiting beliefs are “reprogrammed” using a variety of techniques drawn from other disciplines including hypnotherapy and psychotherapy. Reiki – a healing technique based on the principle that the therapist can channel energy into the patient by means of touch, to activate the natural healing processes of the patient’s body and restore physical and emotional well-being. Right Livelihood – a Buddhist concept of earning a living ethically and in accordance with Buddhist precepts. In recent years, this term’s definition has broadened to mean earning a living in accordance with a person’s own values and spirituality. Spirit-led Entrepreneur– someone who is achieving right livelihood by creating a business out of their soul’s purpose.